There are many properties for sale, such as 1120 Park Avenue. Are you planning to buy a house? Or are you planning for renovation for your new house? One of the most important elements for safety is the security of our house. With so many burglary cases nowadays, it is important to choose the right lock for our house. 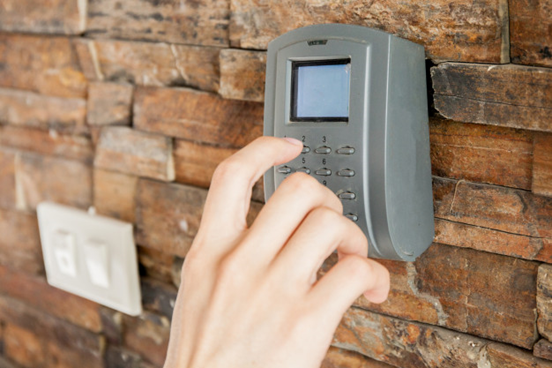 This article will guide you through some buying guide for smart door locks. There are two types of lock available in the market: touch screen lock, sensor lock or keypad lock. A keypad lock comes with a push button keypad with numeric digits of 1 to 9 and a lock and unlock button. As for a touchscreen lock, it unlocks with fingerprint identification. A Bio-metric fingerprint reader is built in the touchscreen locks to identify fingerprints. The fingerprint locks is useful for the blinds or those with impaired vision, as they do not need to key in the number. In case of any fingerprint malfunctions, which may happen sometimes, the backup codes are then needed to unlock. A keyless dock will unlock by entering the codes that you saved. The lock will normally accept two codes, which are the master code and the passage code. The master code will have the access to set up the passage codes that are meant for the users, such as friends and family. A customizable user code can be set. This is useful for offices to limit the time for staff entry. However, if you are having a smart lock for your house, you can give a customized user code to your relative who is visiting you for a while. This customized code will work for a certain period and become invalid after certain period. A traditional key lock will allow any intruder to break in easily without the keys. With traditional lock, you will need to be very careful and remember to lock your door before you go out. But a keyless door lock is more secured than a traditional lock. All smart locks will automatically lock within 3 seconds after you go outside. Therefore, more security will be provided for users. As smart lock is considered as an electronic device, the smart lock will need a power supply to function. Most smart lock can function with standard 4AAA or 4AA batteries. As the smart lock functions with batteries, its lifespan is greatly depending on the number of times the lock “work” per day. The battery will normally last for more than a year, with approximately 15 to 20 entries per day. A beeper is installed in the smart lock to notify you when the battery is low, so that you can change the batteries. Smart lock comes with a WiFi connection as well, which is another great news for smartphone users. You can easily connect to your smart lock with a WiFi connection and a WiFi remote to access the door lock, even if you are overseas. Smartphone has become a part of everyone’s life nowadays. You can easily check for the battery status, number of times the lock is used per day, lock and unlock status with just your smartphone. Make sure your smart lock is synced with your smartphone to have access to all these. There is a variety of colors for you to choose from, such as Black, Chrome, Brass or Gold. Choose a color that matches your home preference or theme to make selection easier. Purchase a sliding cover to protect the smart lock from the weather. A protecting sliding cover can protect your smart lock from raindrops or the humidity. With overgrowing popularity of smart locks nowadays, various standard of smart locks are available in the market. Make sure you check the standard of the smart lock before you make any purchase. The smart lock comes with easy DIY guides that you can easily install yourself. Therefore, you do not need to spend extra money to call any specific person to install the locks. The instructions are easy to understand to make installation quick. In conclusion, smart locks will definitely add more convenience to your life. It also allows you to get into your house easier when your arms are full of grocery bags and your keys are not within reach. Furthermore, smart locks can simplify your day when you need to grant access to your friends and family when you are not home. Smart door locks are ideal for those who often forget about their keys.